Oats fingers are a healthy snack or appetizer. 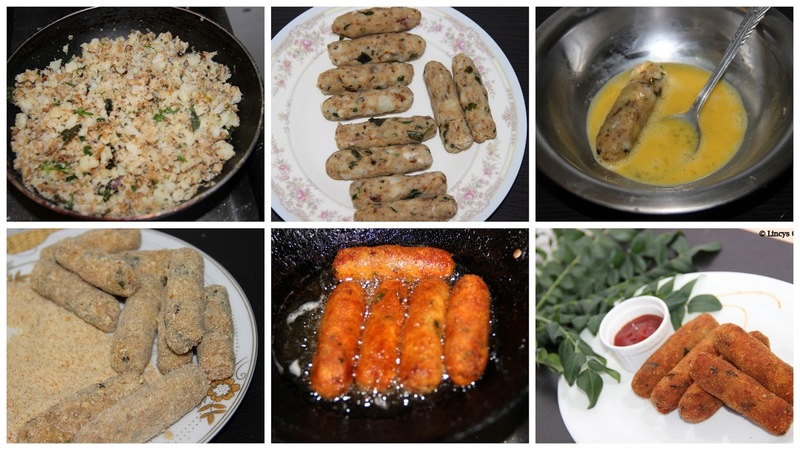 This recipe can be done simply with oats and potatoes (veggies can be added) for vegetarians. And non-veg versions are made with adding cooked minced chicken, mutton, beef or fish as you wish. Kids would also like this dish because of the shape and taste. This dish is healthy as well since I have added oats with-it. In a pan roast the oats till raw smell goes off and powder it in a blender. In a pan add water, meat/ fish with pepper and salt and cook it. Takeout the meat and mince well with hand/ blender. In a pan add three teaspoon oil and add onions and sauté till translucent pink. Add green chillies, ginger, curry leaves and cook till slight brown colour. 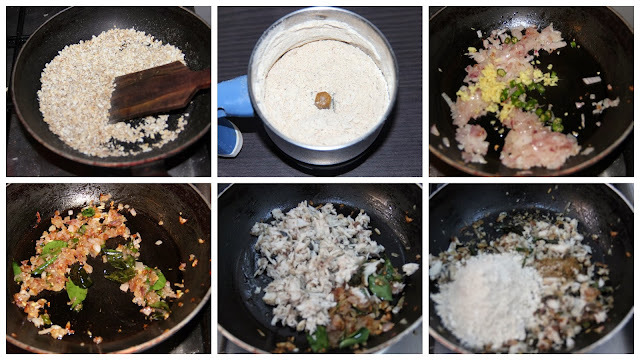 Add meat/ fish mince and garam masala in this mixture and cook well. When the meat cooks add the powdered oats and mix well. Then add the mashed potatoes and coriander leaves and cook for a minute and put off the gas. Take a lemon sized balls and make it like fingers and dip in egg and coat with bread crumbs. Heat the oil to smoking hot. Reduce the flame and fry the fingers in medium flame. Wow, looks yummy and a very healthy snack. Thanks for sharing linzy.